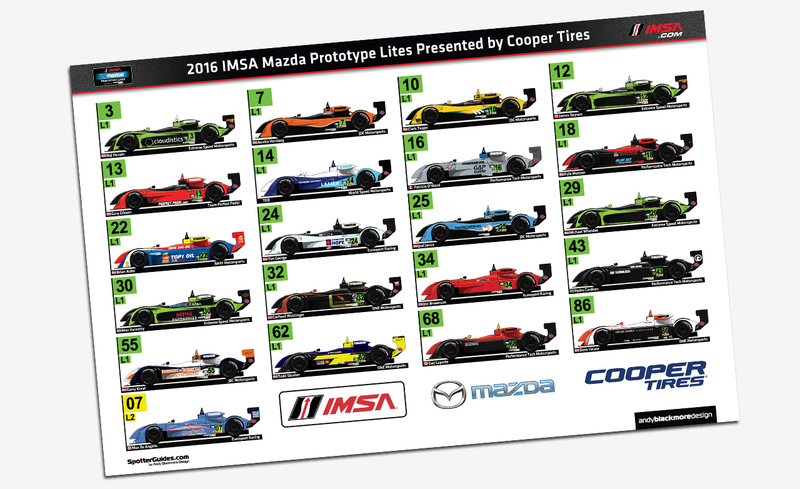 We welcome another new Guide to SpotterGuides.com with the debut of the Official IMSA Mazda Prototype Lites Spotter Guide. This guide is a season long guide and won’t be updated online unless there are major changes. Hard copies of this guide, along with all the other IMSA commissioned guides will be available at the track, in the IMSA Fan zone, or the relevant paddocks. 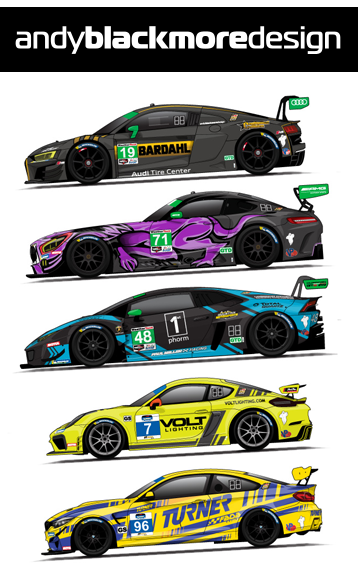 Thanks to commissions by IMSA and Lamborghini, EVERY race at the ‘6hrs of the Glen’ event will have its own Spotter Guide! As a bonus, you can download a PDF containing all the guides or download the guides individually on the dedicated pages for the Porsche GT3 Cup USA and GT3 Cup Canada and Lamborghini Super Trofeo championships. 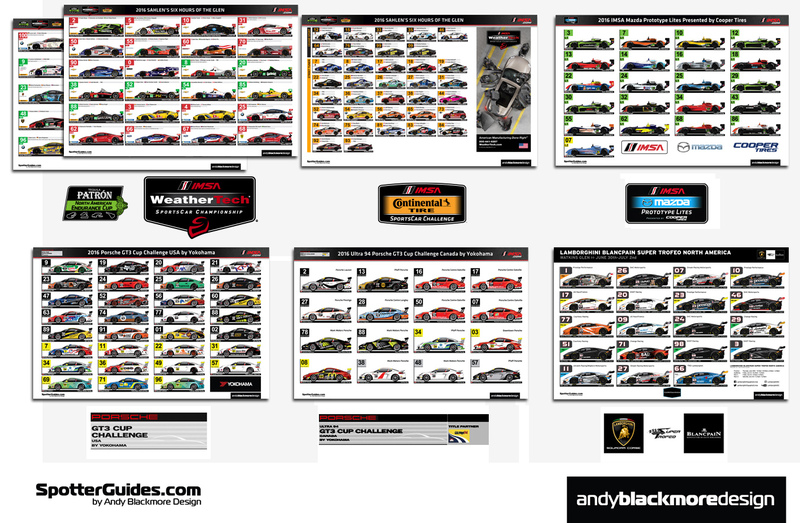 This guide is produced by Andy Blackmore Design with assistance from IMSA.